I'm definitely a summer kind of gal. If I had my way, I would spend my time chasing the warm weather around the world. Alternate trips between Europe and the Americas June-September, followed by Island hopping, en route to Australia for some beach fun to kick off the new year. This time round, the West Coast of the States, Mexico and Vancouver are calling me, and these exquisite silk palazzo pants will be sure to get a work out abroad. 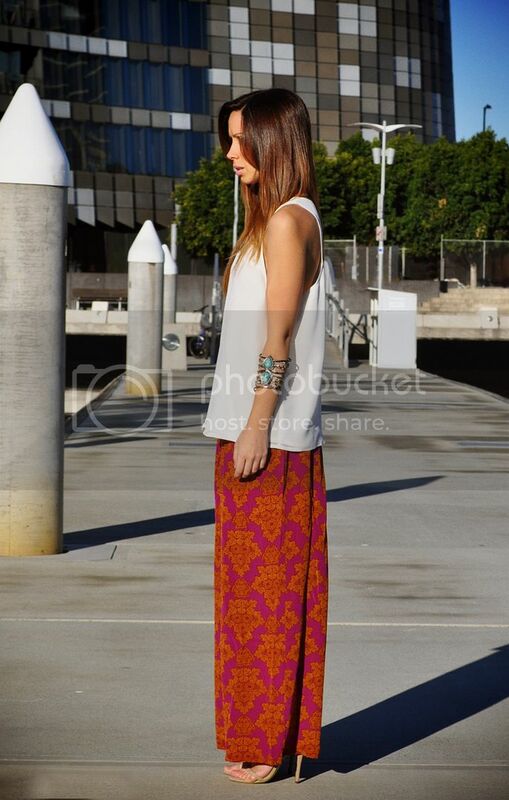 With heels or flats, I think there is something so sophisticated about a good palazzo pant, and Aussie label Shakuhachi sure are on to a winner with these.